A baby is born to Gotham city. His privileged and rich background though means nothing to him. A freak he takes on the persona of an animal. Not a bat, a penguin! Batman struggles as three disparate enemies join forces against him through resources, guile and violence. The real victim of course is Gotham City. Max Shrek (Christopher Walken) is a business magnate whose quest for power and wealth leads to the creation of two outlandish villans. One he creates out of the creature who rises from the Gotham sewers, gives him respectability and then pushes him for mayor. Thus the Penguin (Danny DeVito) gains access to almost unlimited resources. 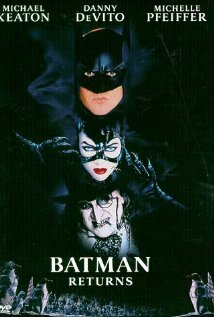 The other he creates by mistake as he attempts to get rid of his secretary, Selina Kyle (Michelle Pfeiffer), who’s learnt how his scheme for wealth really works. She survives a high-rise fall and, traumatised, takes on the identity Catwoman. As Batman takes on these two supervillans, Bruce Wayne (Michael Keaton) takes on Shrek. Sequels are often a significant disappointment and although there are dud moments this film bucks that trend. It isn’t better than the original but is as good. Differnet though. Creepy is an understatement for Danny DeVito in this and Michelle Pfeiffer oozes in so many ways across the screen, Meow indeed. 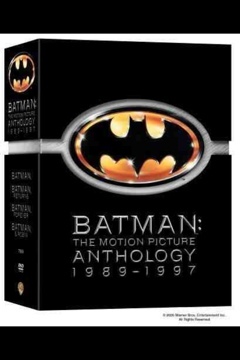 Part of the the Batman Anthology (1989 – 1997). "Thoughts of an idle mind." Information Security professional.